Detection of frequency oscillations in wide networks (interarea oscillations). 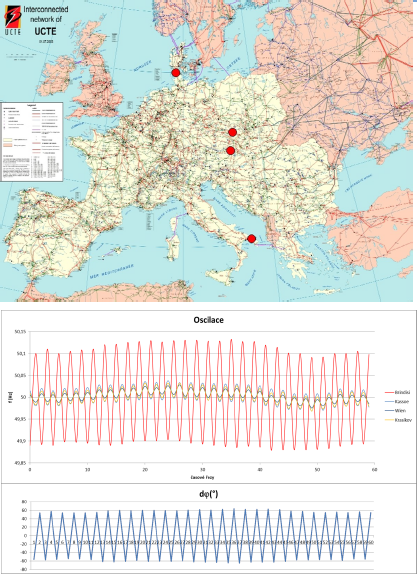 Information about amplitude, frequency and damping of oscillations. Detection of angle stability reserve between areas. Wide-area corridor monitoring of phasor values for currents, voltages and determined frequency by Phasor Measurement Units (PMUs). 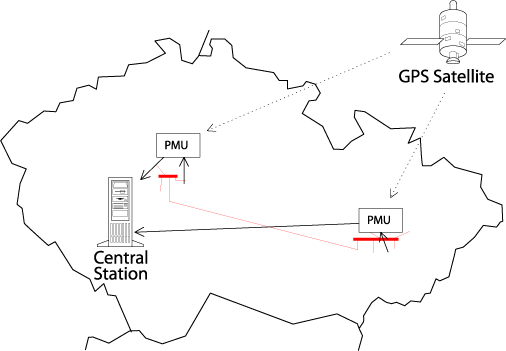 On-line data processing—one measurement set up to every 20 msec. Two-level alarms generation in critical and warning states. User access to database data via LAN. Visualization of data by client software. PMU conforms to IEEE-C37.118 standard. Analysis of electromechanical dynamic fo the entire system. Warning in the case of critical oscillations. Possible information about the endangered parts of network. 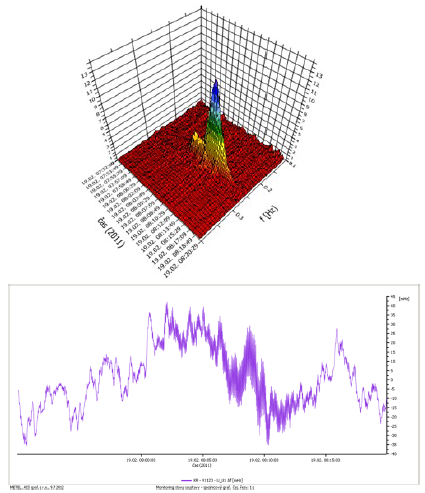 Continuous monitoring of dynamic system behavior. Prevention of unfavorable system situations (e.g. poorly damped interarea oscillations). Creation of a detailed system overview. Steady-state snapshot of the transmission system gives an overview of topology, power flows etc. Analytic departments can use synchronized measurements to calibrate dynamic models.